An alarming number of accidents at work sites have been recorded in the Philadelphia area since mid-June. Earlier this month, a 37-year-old roofer fell to his death while at a Haverford worksite. The fall, which was the fifth reported in the last month, has prompted the Occupational Safety and Health Administration to call on local construction sites and ensure their employees are following proper procedures to prevent workplace injuries and death. “With basic fall protection in place, these employers could have prevented these tragedies,” OSHA Philadelphia Area Office Director Nicholas DeJesse told] Patch.com. 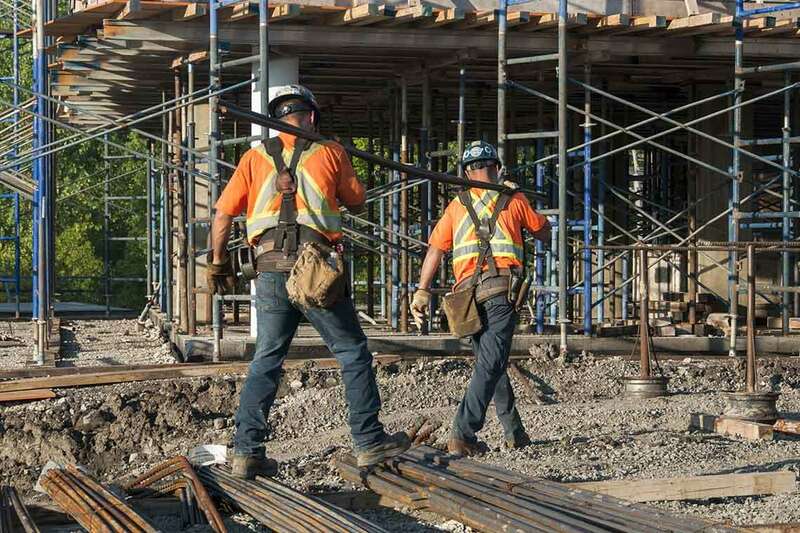 While the employers are responsible for keeping their workers safe, making workers more aware about the facts and common misconceptions surrounding workplace safety can also help to prevent future injuries and deaths. Albeit the numerous recent accidents in the Philadelphia area, current safety standards and regulations have made this industry safer that it has ever been in the past. [Fatal work injuries][/philadelphia/workers-compensation-attorneys/0 in private construction sectors have decreased each year since 2006, according to the U.S. Department of Labor’s Bureau of Labor Statistics. Not only have vendors been producing equipment with built-in safety features but companies have learned to develop risk management plans, hold regular safety meetings, and keep a continuous eye on safety overall to protect themselves and their employees. However, there are companies that unfortunately do not achieve these standards of workplace safety, requiring OSHA intervention. OSHA requires the use of personal protective equipment, or PPE, to reduce such accidents in the workplace. Employers must provide training to his/her staff about why PPE is needed and how to use such equipment. Employees are not allowed to opt out of using PPE because they find it uncomfortable, a poor fit, or unattractive, as noted by Arbill Safer Every Day. PPE can help keep workers safe, but employers should not solely rely on such equipment to keep his/her team safe from harm’s way. In fact, PPEs should be the last, not the first, line of defense according to The Safety Brief, a Creative Safety Supply podcast. Other equipments such as machine guards, or administrative controls like rotating tasks to avoid repetitive motion injuries, are some ways to prevent accidents and injury prior to utilizing PPE. This is far from true, as OSHA is clear about requiring training for any employee that might be exposed to fall hazards. Employees, for example, must be familiar with any type of fall protection and be properly trained to carry out their tasks. If a different type of fall protection is to be used, employees must be trained by a competent person who is qualified in the area of expertise, according to Industrial Safety & Hygiene News. Training must include such things as the nature of fall hazards in the work area, the use and operation of guardrail systems, warning line systems, personal fall arrest systems, etc., and the correct procedure for handling and storage of equipment, among others. Your employer does have the most responsibility when it comes to ensuring a safe workplace. It is the job of an employer to keep a safe and well-maintained workplace, provide hazard information, safety equipment, training, and competent supervision, according to occupational and health safety consultant agency OHS Global. However, employees also have the power to work as safely as possible and not take risks that could put them in a dangerous situation. Always make sure to wear and use the proper safety equipment, keep up-to-date with your employer about safety concerns, and report any unsafe working conditions immediately. While employees should endeavor to work as safely as possible, an unsafe workplace is something they cannot always control, resulting in employees requesting assistance from regulatory agencies. One of the most common fears an employee has when it comes to reporting unsafe working conditions is that they will get fired for reporting their workplace to OSHA. But under federal law, workers are entitled to a safe workplace. This means that you can speak up without fear of retaliation. A worker’s rights provision drafted by OSHA states, “It is a violation to the OSH Act for an employer to fire, demote, transfer, or retaliate in any way against a worker for filing a complaint or using other OSHA rights.” A worker who has been punished or retaliated against by their employer has 30 days to file a complaint with OSHA from the date of the retaliatory decision. Employees are also protected by Pennsylvania law, which stipulates that they cannot be terminated if they highlight unsafe working conditions.